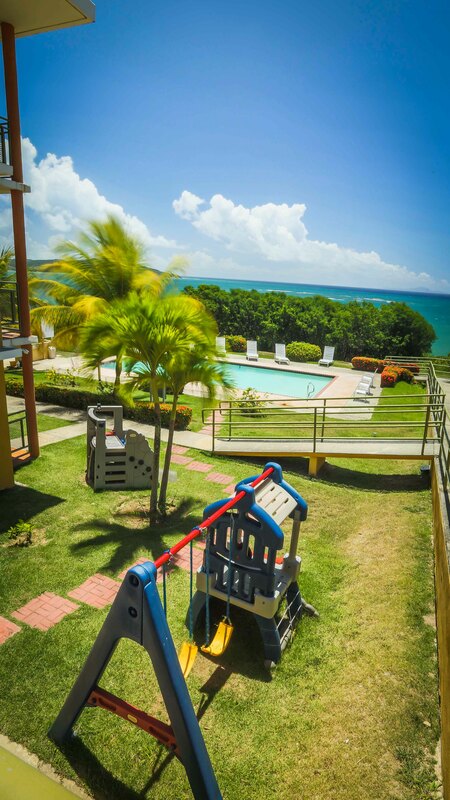 Make your next trip to a Yabucoa resort an unforgettable one. Visit Parador Costa del Mar, a family-friendly hotel wedged between the lush mountains of Puerto Rico and the sparkling expanse of the Caribbean Sea. Enjoy the convenience of an unparalleled location near natural and historical wonders and relish our wide array of on-site amenities before retiring to one of our 16 comfortable guestroomsfor a restful night of sleep. Our Costa del Mar hotel includes all the extras and luxuries you will need to make your trip to Yabucoa a pleasant one. Our cozy dining room serves delicious American-style breakfast, and our full-service restaurant provides outstanding lunch or dinner fare just a short distance away. Our large pool, sun tanning terrace, basketball court, hammocks and high-speed Internet availability add elements of excitement and activity to a relaxing setting. 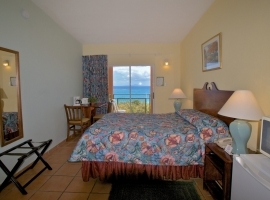 Twelve of our 16 guestrooms feature stunning panoramic views of the sea, along with in-room amenities such as an air conditioner, satellite TV, refrigerator, microwave, coffee maker and private bath. You can choose from several room layout options to ensure everyone sleeps comfortably in our spacious and welcoming guestrooms. 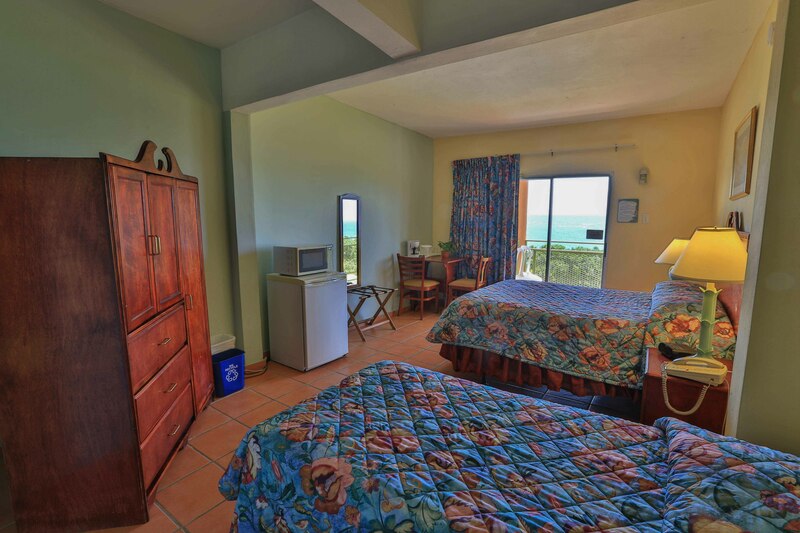 Despite our rooms’ ample size, they come at a reasonable price, especially with our All Inclusive Family Offer, which includes meals, perks and accommodations at budget rates. Just steps from the historical and cultural sights and sounds of Yabucoa and close enough to the beach to feel the sea’s comforting breeze, Parador Costa del Mar is located ideally for travel to southeast Puerto Rico. Near meeting space, natural wonders such as a forest and the sea, and the town of Yabucoa, our Tropical Inn has everything you need to see, feel and taste the best of Puerto Rico. The Puerto Rico suites at Parador Costa del Mar are the gateway to ultimate comfort. The amenities and inviting atmosphere in each of our 16 rooms represents the essence of Puerto Rico: relaxation and intimacy in the most beautiful of locales. Our flexible room setups and All Inclusive Offer make Parador Costa del Mar the best Puerto Rico hotel for family travel or hosting groups or retreats. 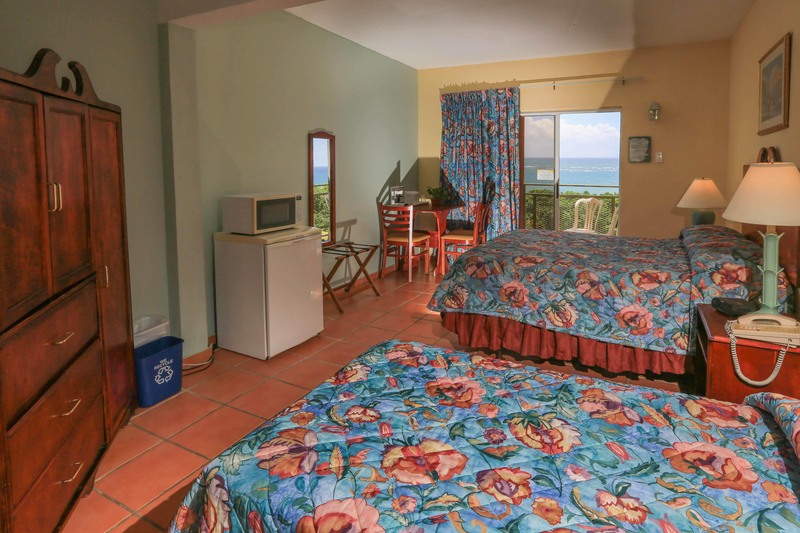 If you can pull yourself back to your room after a busy day of visiting Yabucoa attractions, your cozy room will welcome you back with open arms. 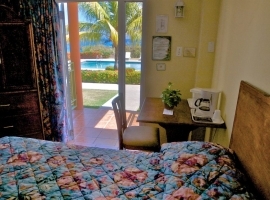 $102 per night (double-occupancy, 7% tax not included). Rooms include two (2) double beds or one (1) queen bed. Each additional guest is $20 extra per night. 4 guests maximum per double bed room. 2 guests maximum per queen bed room. 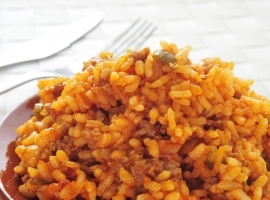 Restaurant at Parador Palmas de Lucía, open to public, seven (7) days a week, 7:00 am - 9:00 pm. Daily Specials. The comfort and convenience available at Parador Costa del Mar starts with our full roster of services and amenities, meant to make you feel at home during your stay. Catch up on current events or keep yourself occupied with our high-speed Internet access and in-room satellite TV service. 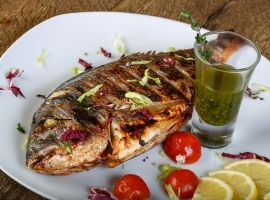 Get your day started the healthy way with a signature Tropical Inns breakfast and an amazing ocean breeze and view . Whatever you want in a Puerto Rico vacation, you’ll find at Parador Costa del Mar. Kick back and enjoy the ocean view of the Caribbean Sea from one of the most scenic pools Puerto Rico has to offer at Parador Costa del Mar, just a perfect way to relax. 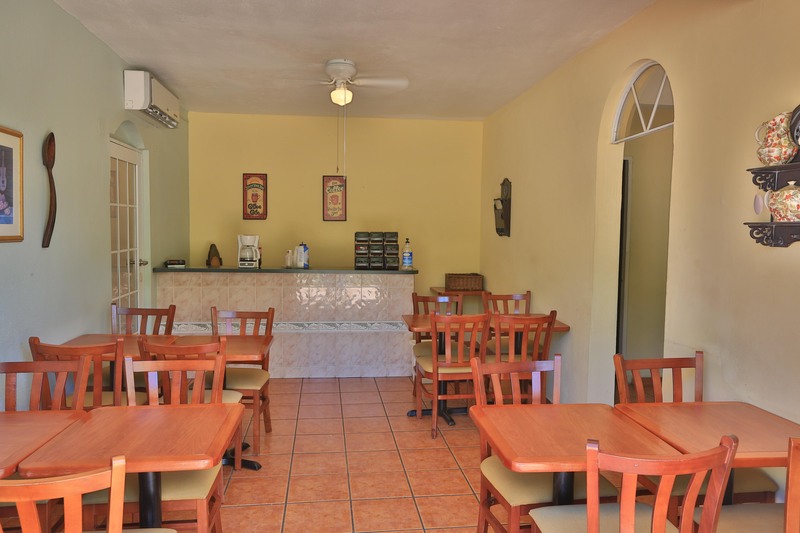 Enjoy breakfast in Puerto Rico at our cozy dining space, and or at Parador Palmas de Lucía Restaurant. Our full-service restaurant sits just a half-mile away at Parador Palmas de Lucía, but you can enjoy delicious American-style breakfast at our ocean view nook. 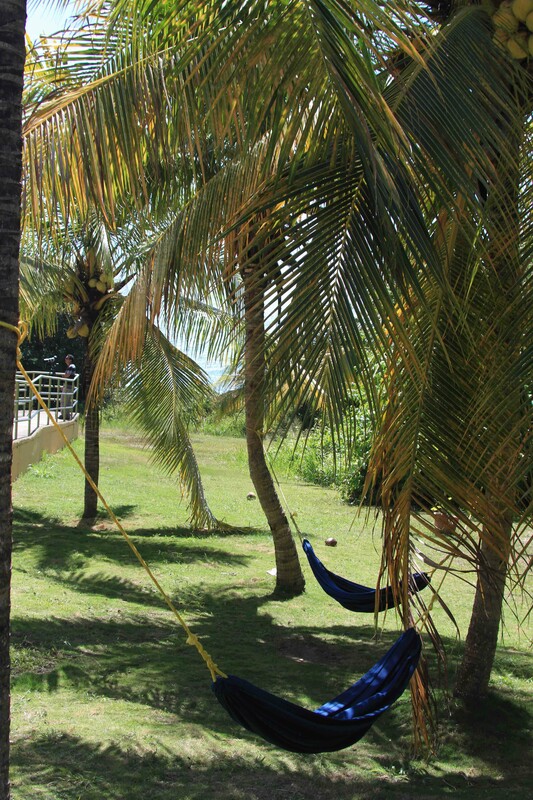 Making sure you are comfortable is our top priority at Parador Costa del Mar. You can use the high-speed Internet service available at our restaurant or recreational areas to check work emails and keep up with the world at home. On-site guest laundry service consists of a coin-operated washing machine and dryer. Electronic lock systems on rooms and the main entrance ensure the inn’s security, and we have a working AED (Automated External Defibrillator) on the premises. We also offer free parking for guests. Our Yabucoa inn is ideal if you are hosting a Puerto Rico wedding and your guests need sterling accommodations in a wondrous setting. Located in Yabucoa just a short distance from virgin beaches and the shimmering Caribbean Sea, Parador Costa del Mar is the perfect home base for guests of your wedding PR or attendees of any events in PR. 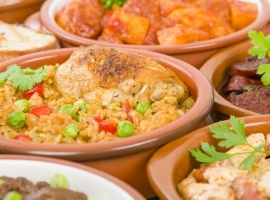 Our inn is located a half mile from Parador Palmas de Lucía, another Tropical Inn featuring a 60-guest capacity banquet hall and full-service dining options. Guests who stay in any of the 16 well-appointed rooms at Parador Costa del Mar can enjoy easy travel between the two along with all of Costa del Mar’s other stellar features. Our guestrooms are equipped with prime amenities and our grounds include a refreshing pool, sun bathing terrace, fitness center, breakfast room and other recreational features. Our convenient location near a beachfront wedding venue and event space makes Parador Costa del Mar an ideal lodging option for guests and attendees of your wedding or events. Start planning your wedding at Tropical Inns by submitting a Request for Proposal. When planning a Puerto Rico conference, consider Parador Costa del Mar as an ideal option for accommodations. Our inn has a spacious outdoor terrace that works as a beautiful event space, making the 16 fully furnished guestrooms the perfect lodging option for Puerto Rico business travelers or additional members of your group. Our well-manicured and perfectly maintained grounds are picture perfect for Puerto Rico retreats, as our refreshing pool, cozy dining area, delicious breakfast and inviting guestrooms will deliver complete relaxation to your attendees. Your group can participate in team-building exercises at any of our recreation areas, such as our pool, basketball court, or take a short trip to the stunning sands of Lucía Beach for waterfront fun. Our inn easily can be reached by car from San Juan Luis Munoz Marin International Airport (SJU), Puerto Rico’s largest airport. Our location in Yabucoa makes for convenient business travel near amenities, natural attractions and at the heart of one of the cultural centers of southeast Puerto Rico. We offer free parking for guests, along with wireless high-speed Internet access in the dining and recreation areas of the inn. To request space for a Puerto Rico meeting or event, please complete our Meetings & Groups RFP form. Our hotel in Puerto Rico offers inviting accommodations and stellar service on the Caribbean beach, ensuring easy and relaxing travel. Use the contact information below to contact our Costa del Mar hotel. Costa del Mar is located just 50 minutes away from the Luis Muñoz Marín International Airport (SJU). US Passports are not required for travel to Puerto Rico from any US airport. Taxi Fixed Rates fromSJU Airport to Parador Costa del Mar: $95.00. For more information call (787) 969-3260. From San Juan, take the PR-52 Expressway all the way to Caguas. After the toll take the first exit to your right. Keep going straight. Immediately after you pass under an overpass take the exit to PR-30 Expressway to Humacao. Keep going straight until you reach Humacao. In Humacao, head South on the PR-53 Expressway to Yabucoa, Exit 30-A. Finally, at the end of the PR-53 Expressway take the 901 Road (Panoramic Route) to Maunabo. We are located on your left at kilometer 5.6, about three minutes from the PR-53 Expressway, with the best ocean view in town.